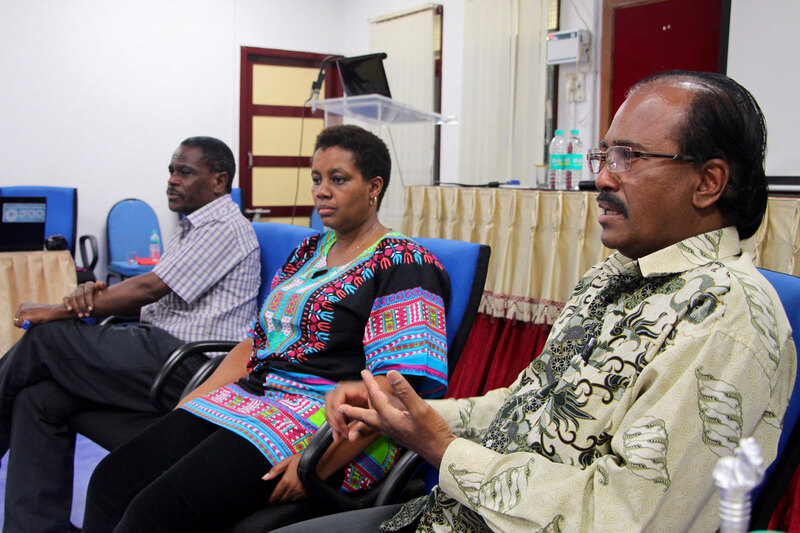 (LWI) – African and Asian Lutheran church leaders sharing experiences on the effectiveness of capacity building and skills’ training for social services delivery or diakonia called for greater participation of women and youth in the development of church programs. 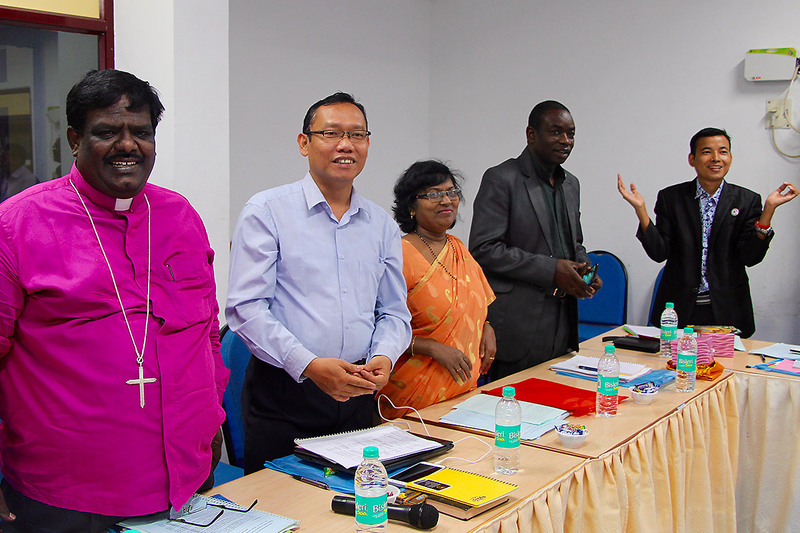 The Lutheran World Federation (LWF) led meeting in Chennai, India, was the first to bring the two regions together to discuss outcomes of a series of training workshops in different countries over the past six years under the Human and Institutional and Capacity Development (HICD) program. The 22 participants said it was also becoming increasingly important to train pastors as community leaders. “We are building on the foundation that has been laid by our forefathers,” said Rev. Dr Augustine A. G. Jeyakumar, executive secretary of the United Evangelical Lutheran Church in India (UELCI), which hosted the workshop in July. Participants also reviewed the respective HICD frameworks with a goal to enhancing their relevance in terms of equipping the member churches for holistic mission throughout the regions. Deacon Maida Siagian from the Protestant Christian Batak Church in Indonesia, was one of several speakers, who addressed the need to include women and youth in church life, pointing out that her church constitution allows for such participation. “To increase women’s participation, language and cultural issues are being addressed as part of women’s development,” added Rev. Dr Nelavala Gnana Prasuna of the Gurukul Lutheran Theological College and Research Institute in Chennai. Rev. Teshome Amenu from the Ethiopian Evangelical Church Mekane Yesus spoke of the need to review the church’s constitution in order to include greater participation of younger leaders. For the Evangelical Lutheran Church in Southern Africa diaconal worker Mr Khulekani Magwaza, the “issues of accountability and transparency within church leadership,” should also be addressed as critical factors for service delivery. The principal of Sabah Theological Seminary, Rev. Dr Wilfred John, noted that theological training at the seminary was being reviewed with a view to preparing pastors for service not only in congregations but also as community leaders. LWF consultant and workshop facilitator Prof. William Ogara said that while the assessment had revealed similarities in how churches approach diaconal training and delivery, there was still need to develop region-specific frameworks to address cases of dysfunctional organizational structures and systems. Mr Munatsi Dube, Evangelical Lutheran Church in Zimbabwe, said this should include planning for leadership succession in the churches. Still, participants agreed that on a global scale, it was encouraging to note that the HICD program had resulted the training of more than 1,400 people (679 in theology and 737 in diaconal and development work) in various fields or vocations between 2005 and 2014. It was also mentioned that many of the trained individuals are increasingly contributing to the spiritual and social transformation of communities in diverse contexts across the global Lutheran communion. Contributed by Steven Lawrence, LWF regional officer for the Expression of Communion in Asia. Edited by LWF Communications.